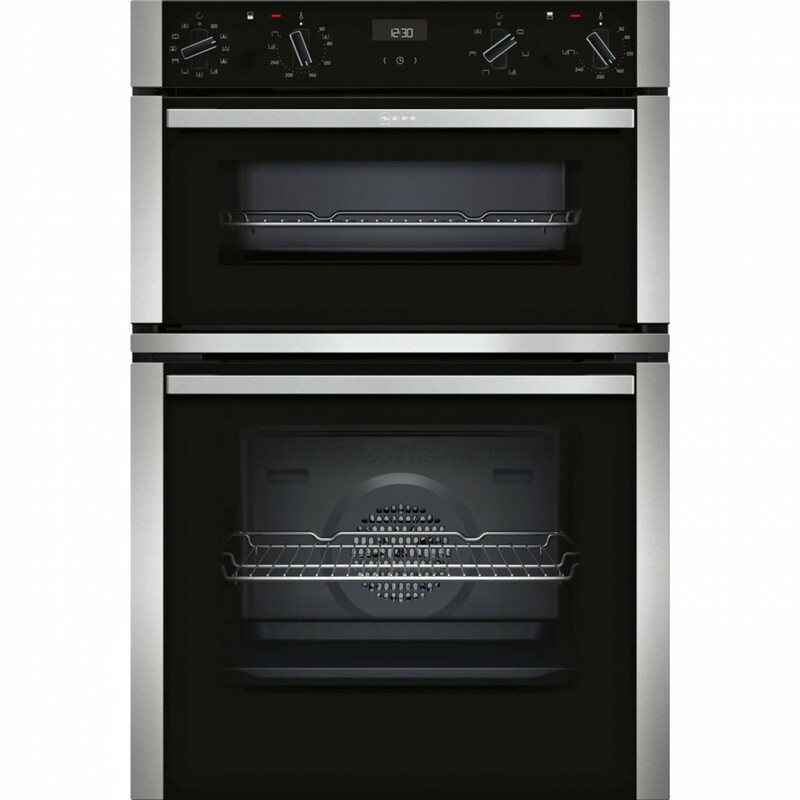 This built-in NEFF U1ACE5HN0B Double Oven not only looks fantastic in any built-in kitchen, but also makes cooking a breeze. The main oven boasts 71 litres of space that provides enough space to cook an evening meal for your family, and there's even more space available thanks to the 34 litre secondary oven, so you can create a feast for the whole family. 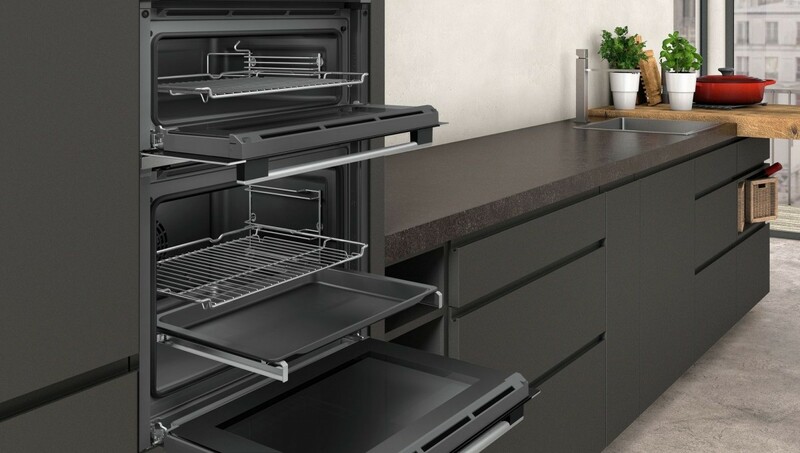 The U1ACE5HN0B also includes a large-area Thermogrill, offering electric grilling in your oven that provides you with additional cooking options. With an LED timer and 8 oven functions to choose from, you can make sure your meals are cooked to perfection. The Defrost function for example circulates air around the main oven to thaw out frozen food making it much quicker than the traditional defrosting method and is particularly handy for desserts and pastries. You don't need to worry too much about anyone burning themselves on the oven as it has heat-reflective glass and double-glazed doors, helping to protect your family. The ovens use EcoClean - the self-cleaning catalytic coating on the sides of your oven make cleaning the inside easier.